I did a training hike with Lucy the goat, Cara the dog and a couple of friends yesterday, from Reeks Lodge across to Cronin's Yard for hot chocolate and porter cake! It's a fabulous, easy going hike, that takes about 45 mins each way; must do it more often... Lucy did well, although she was a little out of breath! We're all off the the All Care Vet Clinic in Killarney today for check-ups and then we start on Wed.
My Outdoors Ireland Team & I are planning to run an apprentice type program towards the end of this spring. 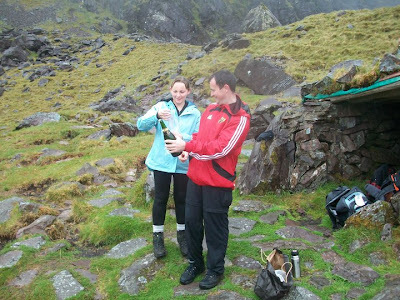 We are looking for someone to join Outdoors Ireland in Kerry as an intern/apprentice. 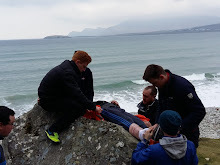 This person will be integrated fully into my adventure training company, working outdoors with Dave, Tadhg and Barry; working in the office with Ruth; and developing business/marketing concepts with myself, Nathan. Our intern/apprentice will receive a wide range of specifically tailored training, nationally recognised adventure training courses and behind-the-scenes business training. Our new Outdoors Ireland team member will be chosen from a group of interested participants, who will undertake a series of tasks and challenges; from assisting with leading groups outdoors, to developing a mock marketing plan for specific products we provide, to team work and communication skills. Our intern/apprentice would need to have an interest in outdoor adventure, business, marketing and admin; although no previous experience is necessarily needed. They would need to be a hard worker and have a passion to excel! I was invited to deliver a presentation in Belfast last week, to the Northern tourist trade, in association with the Northern Ireland Tourist Board. Here's some of the images from my presentation. Any ideas what the presentation topic was!? This March - Kerry adventurer Nathan Kingerlee is continuing his journey, hiking across Ireland with a goat and dog. Kingerlee’s journey, in search of the famous Irish welcome, began last January when, together with his companions, he hiked the 168km Blackwater Way from Kerry to Tipperary. Now Kingerlee, along with Lucy the Goat and Cara the Dog, are facing into a 304km trek across country from Tipperary to Dublin. Their journey will follow way-marked trails, including the Mid Leinster Way and Wicklow Way and is expected to take just over two weeks. Kingerlee, who runs an outdoor adventure company in Killarney – Outdoors Ireland – explains that he was originally inspired to start walking after reading books like ‘Around Ireland With A Fridge’ and ‘McCarthy’s Bar’. 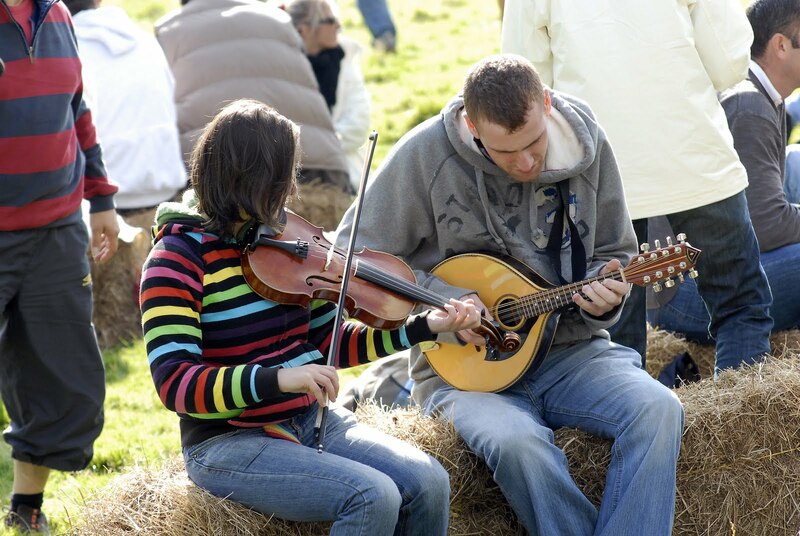 The final push came after reading an online report – which stated that the Irish welcome, renown throughout the world, was slightly disappearing in places. Kingerlee will be blogging daily about the people they meet and incidents that befall them on www.outdoorsireland.com. Daily Blog Starting Here Next Week! Light Snow Covering. Certainly No Freezing. 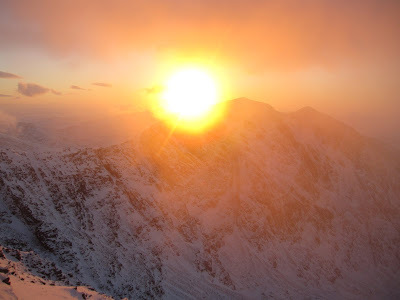 Great Weekend To Hit The MacGillycuddy Reeks! We have a couple of places still available this weekend on both Mountain Skills 1 (19th & 20th Feb) and Mountain Map (20th Feb). These courses are being run by Dave, Barry and Nathan. 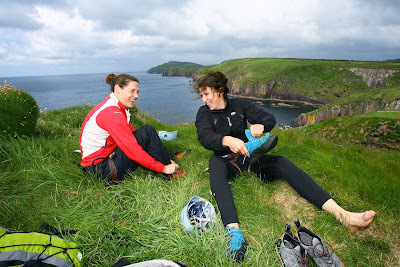 More Snow & Ice Climbing In Kerry? We have a contact list of interested people, but do contact us to double check we have your details, or to put your name on our list. We have several places available on our one-day Mountain Map Course in Wicklow on Sun 20th Feb, run by Barry. The day will run from 10am - 4pm in the Wicklow Mountains, designed for complete beginners upwards and will cover map reading, feature recognition and navigation techniques. The price is €65 per person. Hiking boots can be provided. We have three places available on our two-day Mountain Skills 1 Course in Wicklow on Sat 19th & Sun 20th Feb, run by Dave and Nathan. Saturday will run from 930am - 630pm and Sunday will run from 930am - 430pm, in the Wicklow Mountains. Designed for all abilities this course will cover map reading, contour features, navigation techniques, mountain hazards, personal equipment, timing and pacing. The price is €165 per person. I've never seen the Devil's Ladder as dangerous and unstable as it is at the moment. There's a week-old mini landslide/rockslide 5m down from the top and about 30/40m down from the top of The Ladder is a huge boulder (the size of a small home heating oil tank) which has slipped several inches in the past weeks and is ready to slip a lot more. I remember a year or two ago there was a time when it was very unstable, but this is the most dangerous I've seen it yet. 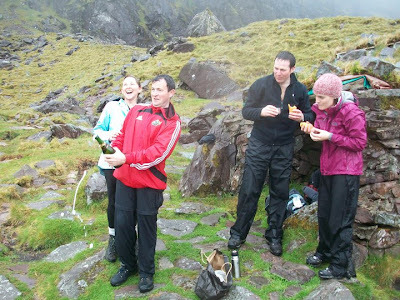 Saturday was the wildest day we've had a guided group on Carrauntoohil in the past 12 months or so. 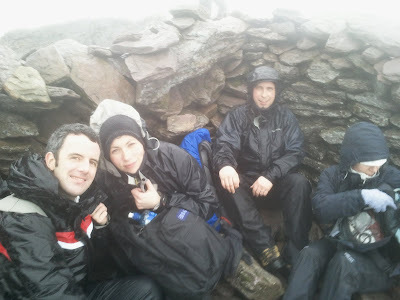 After a blustery hike in the Hag's Glen we had fabulous shelter from the gale-force winds as we ascended The Levels and O Shea's Gully, although we could hear the wind howling overhead. 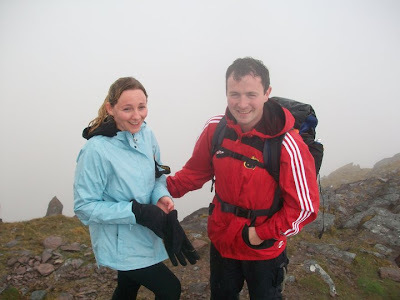 The summit ridge to Carrauntoohil had us on our hands and knees at stages, followed by a battle against the elements down towards Christ's Saddle. It certainly blew away any cobwebs and freshened us up! We would really appreciate if you could give us your feedback. 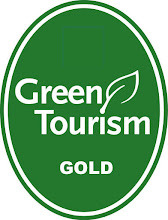 We value your opinion and your feedback will help us improve our services for next time.